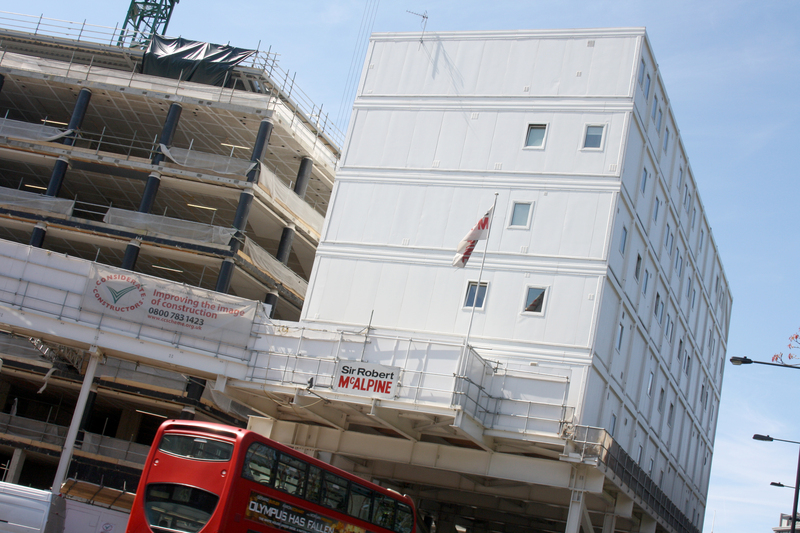 When a prestigious development in the heart of Kensington with no available land was looking for space to accommodate their work force during construction there was only one solution - a 5-storey building on a gantry that spans the busy A313 Kensington High Street. The building, comprising of 55 modular bays, was designed and constructed by Premier Modular Limited to include changing rooms, first aid facilities, an induction room, office space, dry stores, meeting room and WC facilities. Premier Modular worked hard to ensure the project exceeded the customers’ expectations and received positive reviews from the client.